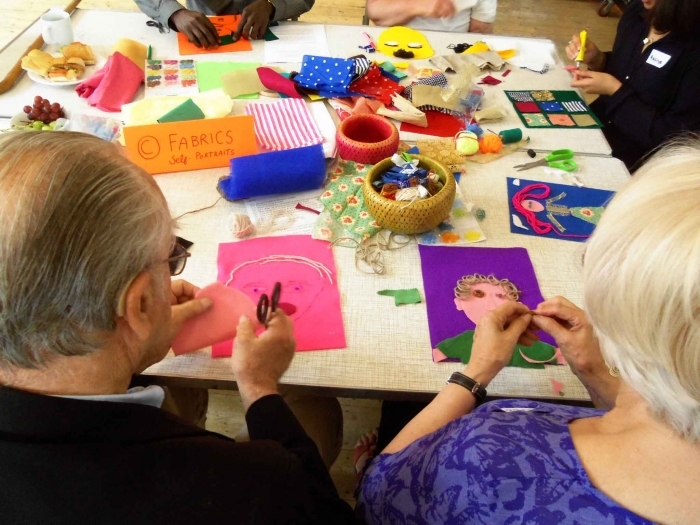 The Alzheimer's Society has created Dementia cafés to provide useful information in a structured and relaxed setting that gives the opportunity for people with dementia, families and carers to ask questions and learn from the experiences of people in similar situations. 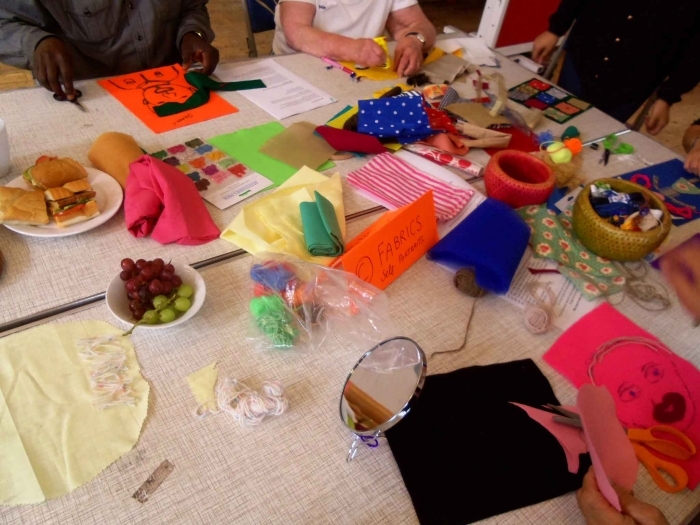 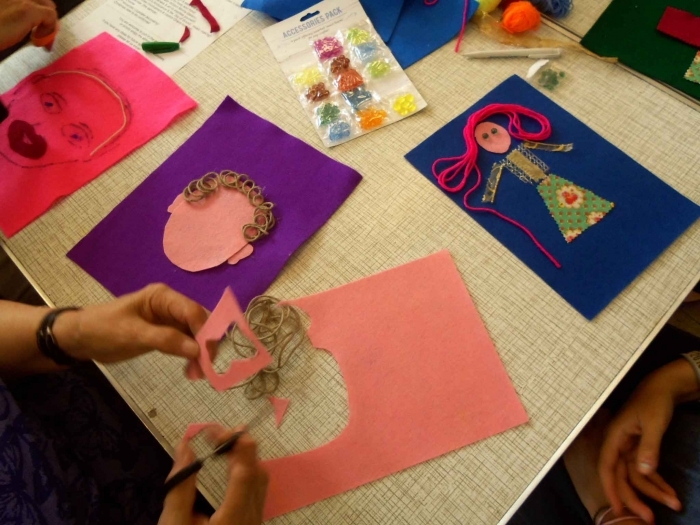 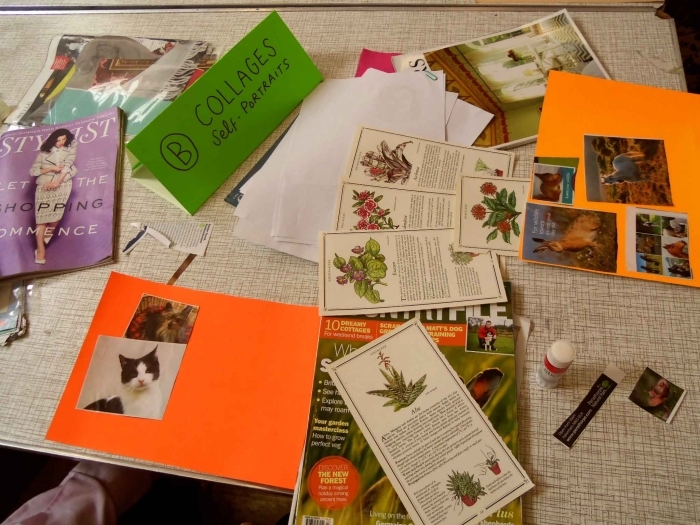 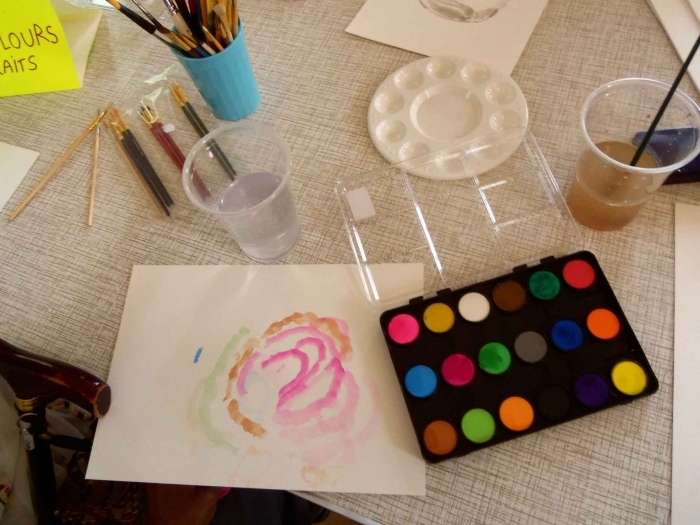 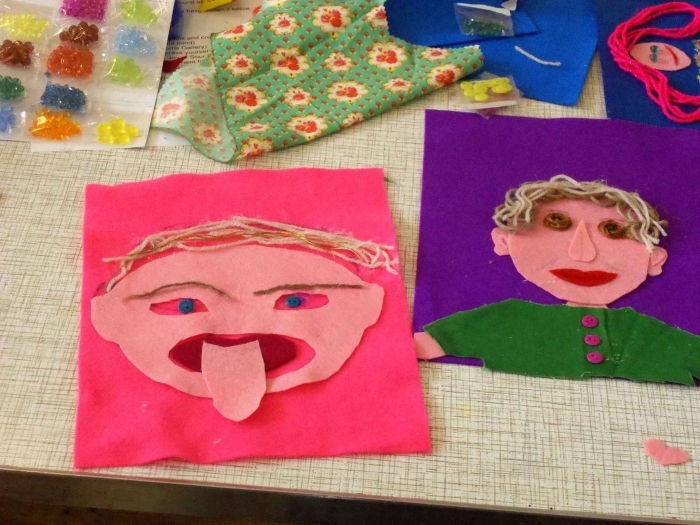 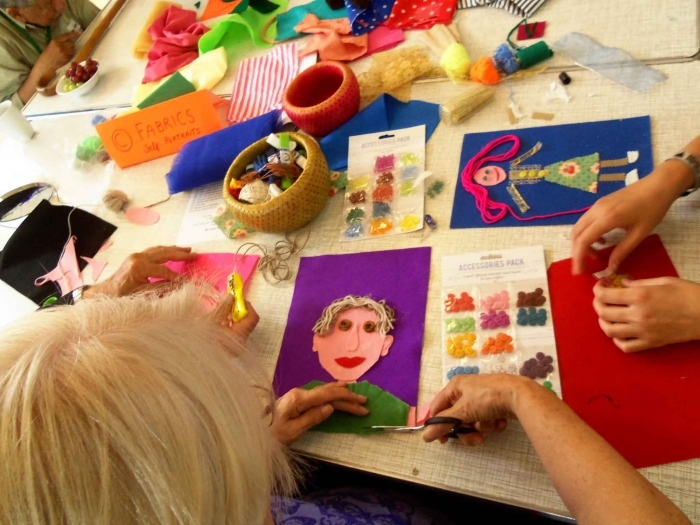 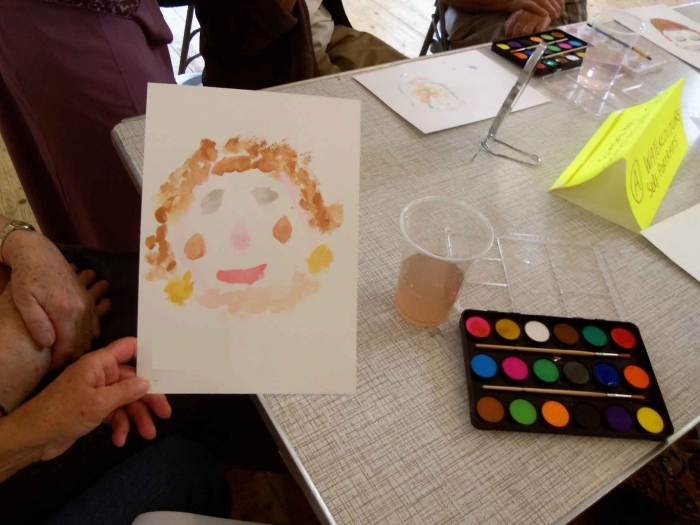 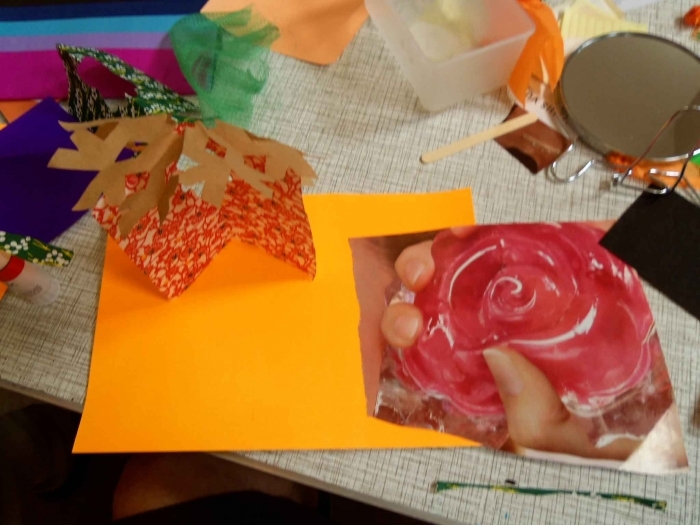 Dementia cafés invite different artists to facilitate workshops. 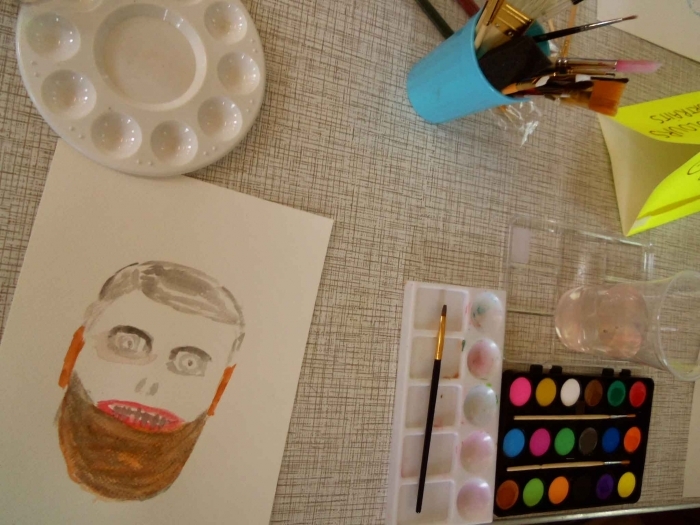 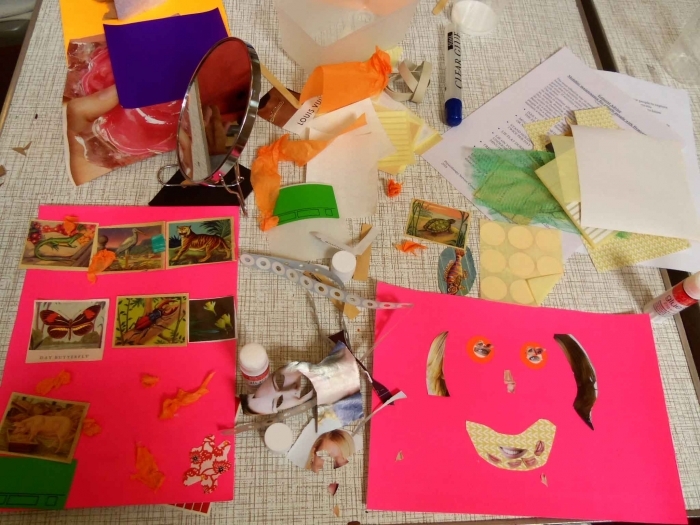 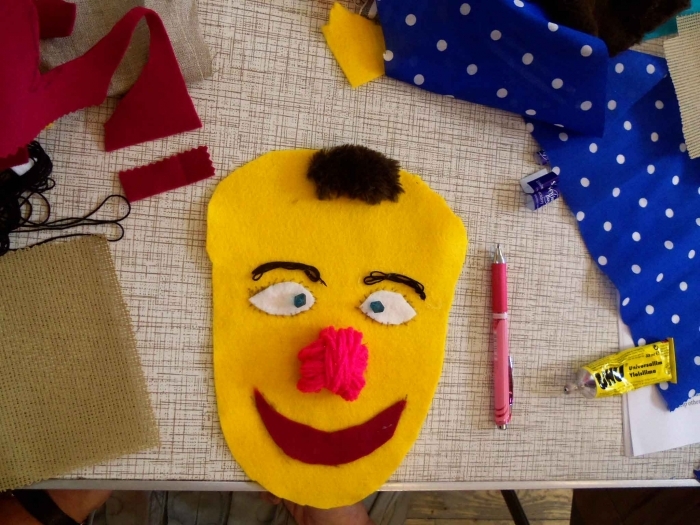 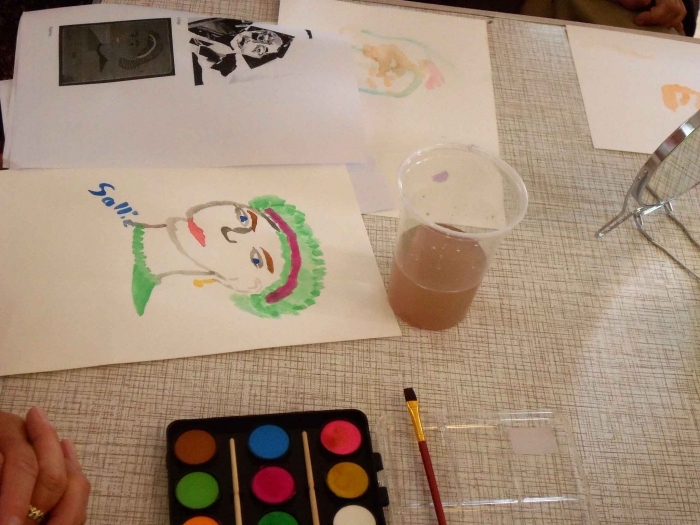 I facilitated a portrait making workshop where the participants had a chance to explore different ways of making self portraits working with collage, watercolours and fabrics.